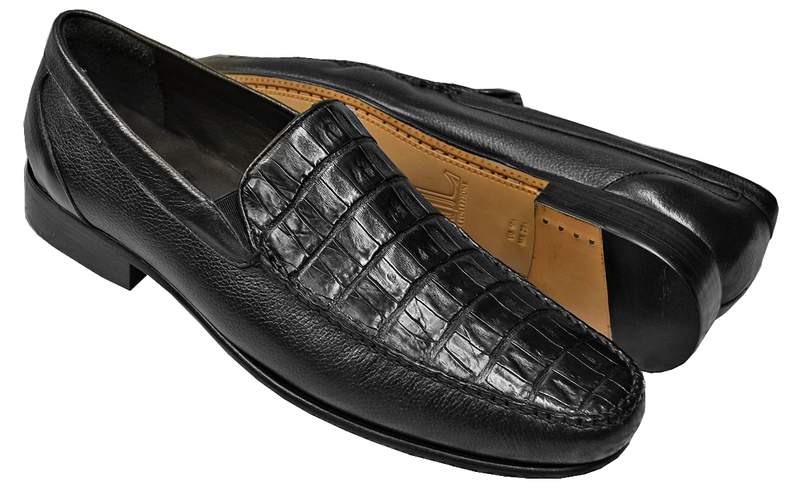 These exceptional quality genuine crocodile skin shoes are by one of the finest exotic shoes manufacturers, Lombardy. Lombardy offers sensational exotic skin shoes. The inside is a soft leather prior comfort and the sole is handstitched in leather for excellent traction. The insole is cushioned for added shock absorption. The Lombardy crocodile collection doesn't use the "painted-on" process to color these boots like other manufacturers; instead, they use a special aniline process to dye the premium grade crocodile that the selected color permeates the skins thoroughly. The skins maintain its color for a lifetime and becomes more beautiful with age.